The big banks may not offer loans for manufactured homes however we are more than happy to help with your mobile home loan needs! Our mortgage loan officers are licensed and trained for many types of lending programs including manufactured home loans. Many of the large mortgage companies and banks do not offer home loan options for manufactured homes however we have worked hard to assemble several mobile home loan options. Our mobile home specialists are trained in Conventional, FHA, VA, and even chattel loan options. Call us today so we can get you started on your next home. Even if another mortgage company or bank has denied you financing we may be able to help. Not all mortgage companies have the same loan programs to serve all clients. We have worked hard to provide mobile home loan options to help families in many financial situations. 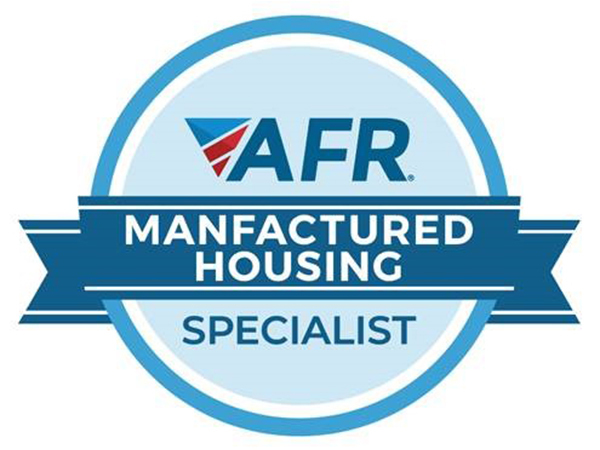 We are proud to be named a Manufactured Housing Specialist by our Lending Partner American Financial Resources (AFR). Our partnership with AFR allows us to offer some of the most competitive manufactured home loan programs in the industry. 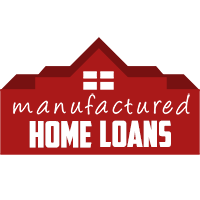 With great rates, low costs and industry leading technology, there is no better place to get a manufactured home loan!